Knowing that it is normal to experience hurt, pain & frustrations (the power struggle phase) in relationships, don’t just leave it but seek help early to be able to experience real love again. Last time we learnt that following the ‘honeymoon phase’ (phase 1) couples will encounter the ‘power struggle’ (phase 2). This is normal and not a sign that anything is wrong. 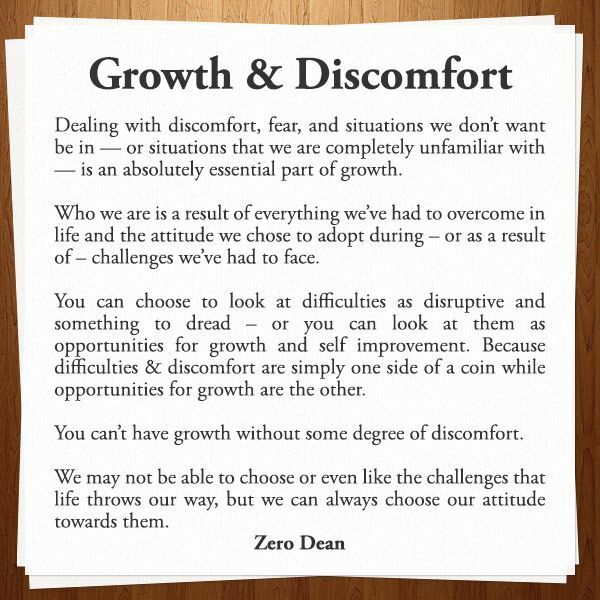 It is an opportunity for growth. The mistake most couples make is that they do not seek help early enough. Harville Hendrix says that most couples leave it on average seven years too long before finding a good relationship therapist or coach. Taking action towards a conscious connected relationship means closing exits. Exits are any ways that you and your partner or spouse avoid each other or your relationship problems. Examples are silence, avoidance, purposely staying late at work, internet etc. In order to make changes we need to feel safe with our partners. Couple therapy and coaching offers you that safe space to work on your relationship. Imago relationship therapy offers ‘safe’ effective ways to bring you and your partner or spouse back into a healthy loving connection. This is done through sharing insightful ideas and teaching practical ways to communicate effectively. This is mainly through learning the ‘couple dialogue’ which is a unique life changing method to enhance the positive and reduce the pain in the relationship. Over the next ‘Relationship Enhancing Ideas’ emails I will share some of the problems couples experience and some of the solutions to those problems. Relationship-Enhancing practice: Begin to work on your relationship issues by slowly closing any exits (exits are any ways that you avoid your partner or issues in your relationship). Start with the ones that are easier for you. Call me on 07931721637 for a free 10 minute chat to see how Imago relationship therapy can offer you immediate help through couple therapy and coaching to significantly improve your relationship in a safe space. Relationship-Enhancing Idea # 2: Frustrations are normal! Conflict, frustrations and differences in your relationship are normal! You are in stage two. Stay with them, listen, validate and feel more connected through them. Following the ‘honeymoon phase’ (phase 1) all couples will encounter the ‘power struggle’ (phase 2). This is normal and not a sign that anything is wrong. There is no escaping phase two so better to be prepared for it and find a helpful way to manage rather than ‘exiting’ through avoidance, blame, shame, criticism or any other strategy that does not directly and respectfully deal with the frustration. Realise you are not alone. Conflict and frustration happen in all our relationships. Try the following and let see what happens: Take turns to listen to each other. When you listen, really listen by putting your frustration on hold and fully focus on your partner’s experience. Get curious, listen and validate their experience which is likely to be very different to your own. Then when you share your frustration make sure it is a good time for your partner or spouse. Share your frustration and make it about yourself…”I felt upset when I did not hear from you today.” Say it calmly, staying away from any blame, shame or criticism. Try that and let me know how it goes. I’m curious. Relationship-Enhancing practice: When you feel frustrated or see things differently than your partner or spouse, try replace judgement with curiosity. For all previous articles & ‘Relationship-Enhancing Ideas’ see my blog on this website or add yourself to my newsletter list. Call me on 07931721637 for a free 10 minute chat to see how Imago relationship therapy can not only help you manage frustrations better but significantly improve your relationship. Relationship-Enhancing Idea # 1: The Power of Appreciation. “In any relationship that matters to you, give praise and appreciation daily. Noticing and appreciating the good in others enhances the connection between you and creates a healthy relationship space”. Putting your appreciations of your spouse or partner into words can transform your relationship and literally save your marriage or relationship. Harville Hendrix & Helen LaKelly Hunt who came up with Imago Relationship Therapy created a ritual that at the end of every day they would share three (new) appreciations with each other to bring closure to the day. Wow! That would seem like gold standard but try even one heart felt appreciation every day can significantly move you toward your desired relationship. Our brains tend to not notice the positive. We need to train our brains otherwise they tend to often default on noticing the negatives (especially if there is a lot of pain in the relationship). Pay attention to what is good in your relationship and life. Couples report that when they focus more on what they appreciate about each other they slow start seeing each other differently. What a wonderful human being I am living with. Something we’d known long ago but often forget over time. Relationship-Enhancing practice: Look for and notice one new appreciation a day. Put this appreciation into words and share with your other half. If you like this post then be in touch to discuss how Imago Relationship Therapy can further enhance your relationship or marriage. I offer couple counselling in various locations including North Manchester (Prestwich, Salford & Whitefield) as well as South Manchester (Wilmslow, Hale and surrounding areas including Cheadle, Bramhall etc). I also offer premarital counselling, couple workshops as well as couple intensives. Frustrated in your relationship? Arguing more? Feeling let down? You are probably in phase two and that is normal! What happened to my wonderful romantic relationship? What are we not getting on anymore? Relationships typically go through a number of phases. We all know about the ‘honeymoon phase ‘ where everything feels wonderful, as if you have known your partner forever. It feels as if your needs are being met and that this person just gets me fully. During this phase your brain is literally releasing a number of good feel chemicals. It is like being on a high…cloud nine. Then it all changes! Somewhere between a few months and two or so years later you may find that the relationship does not feel the same. It is as if your partner has changed. “You’re so different! What happened to you?” might be examples of typical thoughts and feelings. Not only that, it now feels like a very painful place to be. Feelings might include hurt, disappointment and anger. This is the next phase that all relationships go through and is known as the ‘power struggle’. It is a very painful place to be where there may be much more conflict, disagreement, withdrawal and a real struggle to re-connect with each other. So painful that you might find yourself coping in either one of two main ways. Some partners ‘withdraw’ their energy and perhaps go quiet, avoid confrontation by keeping busy, working longer hours or anything else that avoids dealing with the issues in the relationship. A bit like a tortoise that does not feel safe might retreat into their shell. Some others may ‘expand’ their energy by becoming louder, shouting, getting angry and demanding. A bit like a tiger that feels threatened and goes on the attack. The problem is that the more the tiger goes on the attack, the more the tortoise retreats. The more the tortoise retreats the more the tiger gets frustrated and knocks on the tortoises shell with the result that the tortoise retreats even further! Sound familiar? Guess what? Its normal! Conflict is growth trying to happen. It is a bit like a butterfly trying to struggle out of its cocoon. It is a normal and necessary part of the butterfly’s progress and this too happens in our relationships. The bad news is that this pattern is normal. The good news is that it doesn’t have to stay this way. If the couple are willing to embark on a journey of mutual respect, commitment, understanding, support and joy then it is possible to move through the ‘power struggle’ phase to the next phase of ‘mature love’. Fortunately we can learn the skills and knowledge necessary to repair and re-connect with each other after there has been a rupture in the relationship. One can learn to stay in connection with your partner during conflict which allows growth and healing to happen. It is possible to learn how to share without shaming, blaming and criticising. It is also possible to learn how to listen non-defensively in order not to take things personally. If you can learn how to love in this new way then you are on the journey toward a more committed, conscious and joyful relationship where conflict is seen as an opportunity for growth and closeness. If you are struggling with frustrations in your relationship then Imago relationship can make a significant difference. Be in touch to discuss how couple counselling or marriage therapy in your area (Prestwich, Salford in North Manchester or Wilmslow, Didsbury, Hale and surrounding areas in South Manchester) can either save your relationship or make it significantly better. “Couples in conscious relationships recognise that the committed partnership is a remarkable structure for healing and growth. As partners excavate the past and learn about one another – their unmet needs and lifelong desires, vulnerabilities, wounds, strengths and resources – they can begin to work cooperatively to bring their unconscious directives into consciousness” (Imago International website). Commitment is needed from both partners to work as fully on the relationship as possible. Taking full ownership for what I can do to make this relationship healthier and better. How do I need to ‘show up’ for my partner or spouse that will bring out the best in them. How can I bring ‘safety’ to my relationship. Doing my 100% of my 50% towards my relationship. All of the above takes commitment and an investment of time, energy, giving, self-awareness, listening, sharing, vulnerability and compassion. A commitment to replace judgement with curiosity and ‘cross’ the invisible bridge to my partner or spouse’s ‘world’. A commitment to doing the ‘work’ to move this relationship towards a more conscious and connected relationship where there is growth, healing and compassion. Imago relationship therapy offers a route to such a loving and connected relationship but it takes commitment! If you need support on your couple journey towards a more committed relationship then be in touch to discuss how couple therapy in North or South Manchester can help you towards your dream relationship. In relationships we may look at conflict, difference and pain as a ‘bad thing’ but actually frustrations and conflict can be an opportunity for growth…see the following quote below. This will change the way you view life and the way you view your relationships. Hedy Schleifer is a master Imago couple therapist who beautifully talks about the invisible ‘sacred space’ that exists between couples. If only we could all live according these ideas…honouring each other, respecting difference and living with an open heart. Have recently read a book called the ‘Miracle Morning’ by Hal Elrod. See https://www.miraclemorning.com/ for more details. The book focuses on beginning your day in a way that shapes the rest of your day for maximum benefit and potential as well as using mornings to shape your future. Hal emphasises 6 habits that he claims will transform your life before 8am. I bought the book in an effort to try and help myself gain more clarity, motivation and direction in my life. Having recently felt abnormally tired, low in motivation and irritable some of the time I felt that perhaps tapping into many of the things that are proven to make a difference might be the way to go. The 6 habits mentioned in the book are all close to my heart and I believe I (and others) need these ‘secret’ ingredients on a daily basis. If we can tap into these habits I believe it can change the direction of our life and bring tremendous benefits. I have begun to feel the benefits already having decided to implement some of the habits. As mentioned above I will write about each of these habits in future blogs. In the meantime have a think about your morning and how it begins, what you do in your morning and what small changes could make a difference. Some small changes I have made are having a green smoothie most mornings, sitting in silence for a few minutes and reading a list of affirmations (life goals). I am also seeing the value in doing just 7 minutes of exercise and did some light activity yesterday morning. This helped me have more energy for the day. Together with the affirmations I felt much more motivation and find myself writing a blog now after many months of not writing! It seems to be working. I hope it works for you too. Give it time. Allow for ups and downs and be kind to yourself. See the following YouTube book summary which may help to give a quick overview of the book. The idea is simple but powerful – take a moment to think of something you appreciate about someone in your life – a partner, spouse, friend, child, teacher, headmaster etc. This appreciation could be something that drew you to that person originally or perhaps it is something you’ve come to know, love, admire or appreciate about them over the time you have known them. It does not matter whether it is something big or small but just something they do (or something about them as a person) that brings you a good feeling. Perhaps pause and take a moment to think that appreciation you’d like to share. Then share the appreciation when the moment is ‘right’ and the other person will be able to hear you. Share it with feeling and show a little vulnerability for a bit of spice. Then see what happens! This quote sums it up! 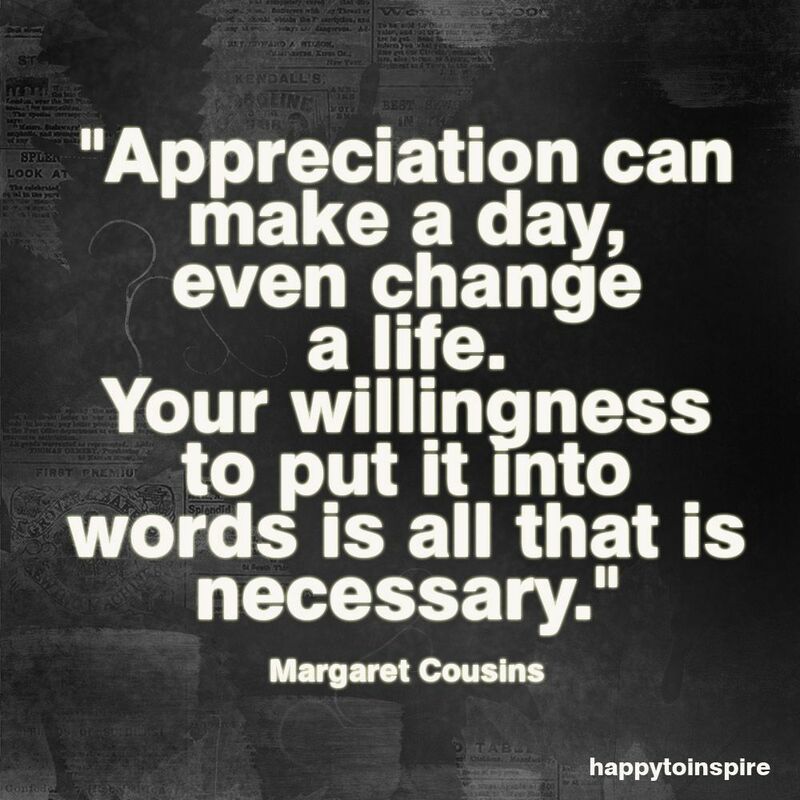 Appreciations can really make a huge difference to others, relationships and oneself. Its the action of verbalising the appreciation that is necessary. Relationship counselling in Manchester can significantly improve your relationship. Try It! Go on…share something your appreciate about your friend, partner, spouse, neighbour, family member etc. Remember what it feels like to be appreciated! Of course you do. Feels good. So make someone in your life’s day and put something you appreciate about them into words. Appreciations are an important part of all healthy relationships. What initially attracted me to Imago Relationship Therapy was the emphasis on increasing the positive in the relationship. Increasing appreciations, caring behaviours, spending time together and having fun. Each relationship coaching session begins and ends with appreciations! What a way to start and end any interaction. Learn more about Imago Therapy at Relationship Counselling Manchester. Why not join a Couple Workshop to learn how best to share and receive appreciations that will improve your relationship. Details of my next couple workshop on my website: Couple Workshop .